No longer just associated with farmers and punk culture, plaid is a perpetual favorite for fall. From scarves to coats and practically everything in between, this pattern is super popular when the weather gets colder. But in my opinion, the most classic way to wear plaid is to stick to the original plaid shirt. Plaid shirts aren’t one-size-fits all: they come in tons of different colors and shapes, and stores from Target to J.Crew are all bound to have their own interpretations. It’s easy to throw a plaid shirt on top of a pair of skinny jeans, but there’s a lot more you can do! Read on to see four different looks using the same plaid shirt. It might seem strange at first to pair plaid with sequins, but the combo is actually really fresh for fall. The simple shirt and sparkling skirt balance each other out to create the perfect mix of casual and glamorous. Be sure to keep your accessories simple so they don’t compete with the ensemble. Of course, no post of mine would be complete without a dose of stripes! Layering is important in the winter, and plaid shirts are perfect for adding on top of shirts you already have – especially striped ones. (Yes, the old “don’t wear plaid with stripes” rule is just that – old and outdated!) Leave the shirt open or button a few buttons and let the stripes peek out of the top and bottom — it’s totally up to you! 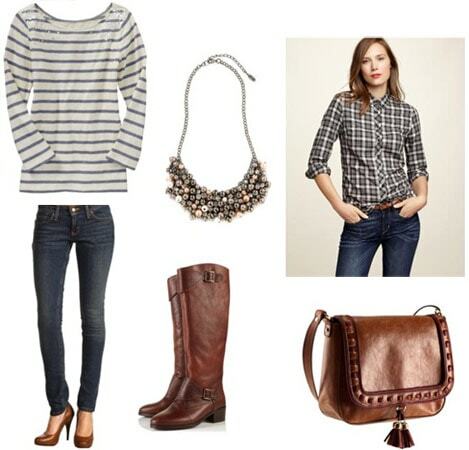 A plaid shirt and jeans are anything but simple when you add the right accessories. 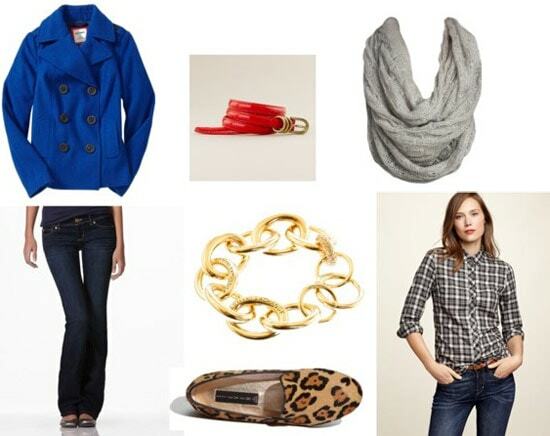 A bright belt and coat add pops of color to the look, and a chunky bracelet and infinity scarf add a touch of glamour. Leopard loafers finish off the look and add just the right amount of pattern-mixing. 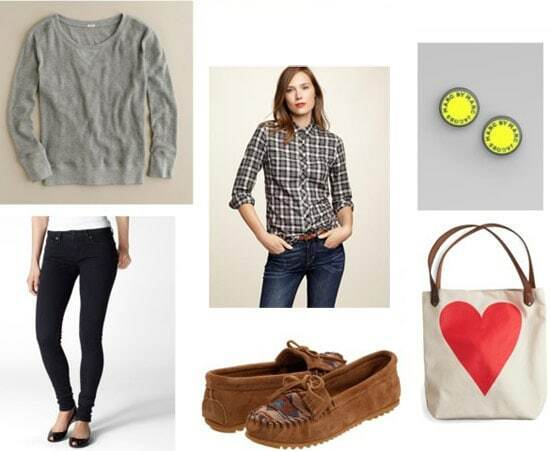 Layered under a cozy sweatshirt, a plaid shirt is perfect for the library! Jeggings and moccasins will keep you comfortable while you hit the books, and bright earrings and this whimsical tote add playful touches. 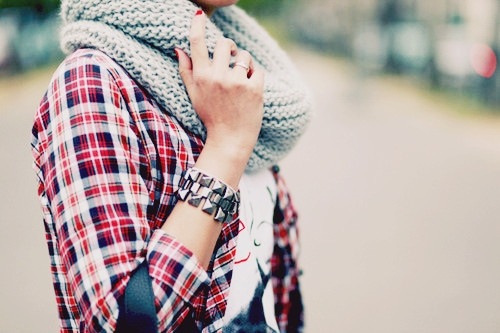 Do you own a plaid shirt? How do you style it? Which look is your favorite? What other items would you like to see covered in “One Item, Four Ways?” I’d love to hear from you, so be sure to leave a comment! Previous Ask CF: How Do I Wear the Suede Desert Booties Trend?